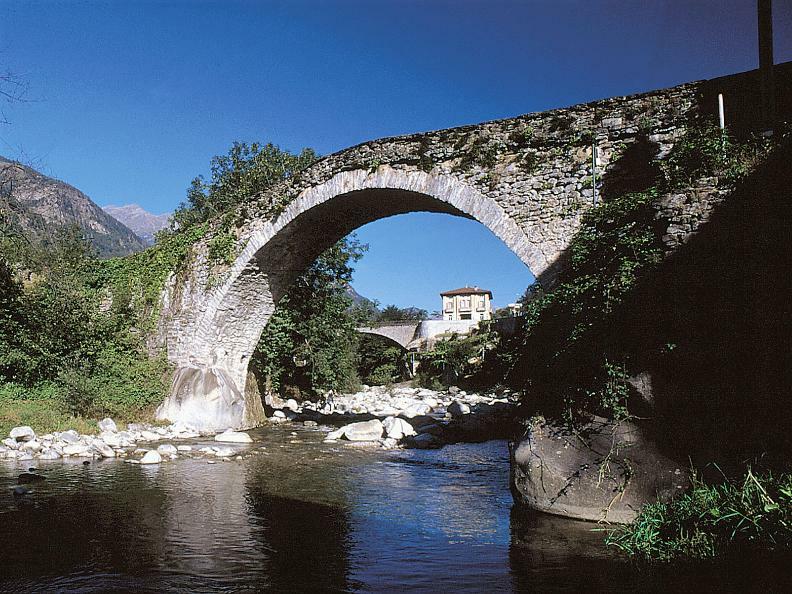 Giornico boasts an outstanding historical heritage. 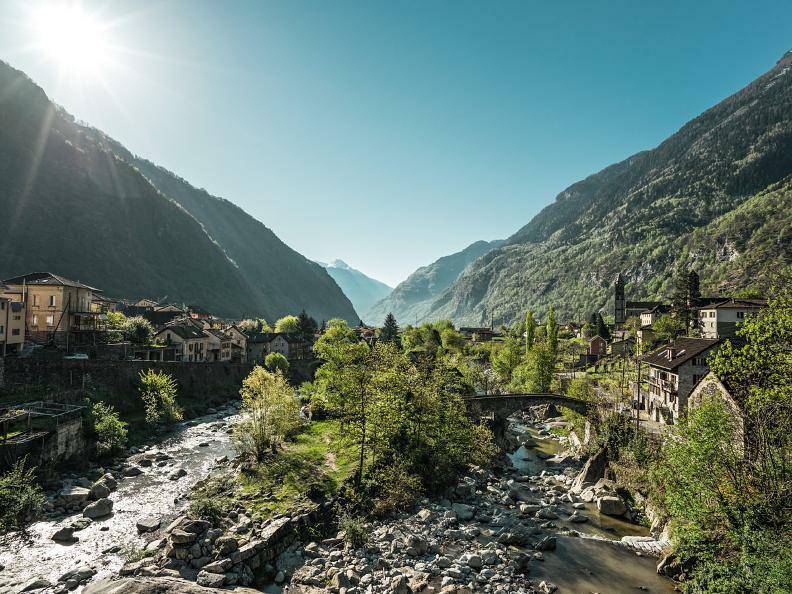 Among its attractions are its vineyards and a small island in the Ticino river. This island can be reached by two small Romanesque bridges. 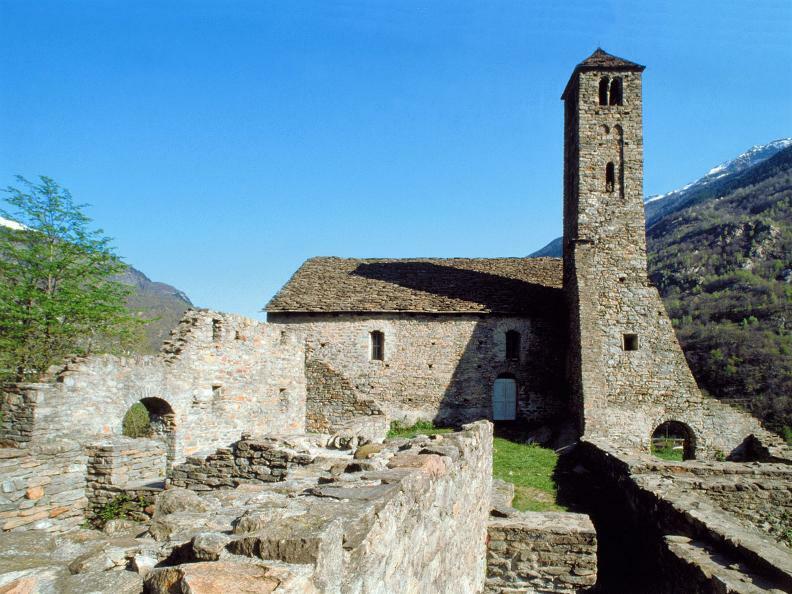 There are also many churches in the village, the best known of which is the remarkable Romanesque church of San Nicolao. 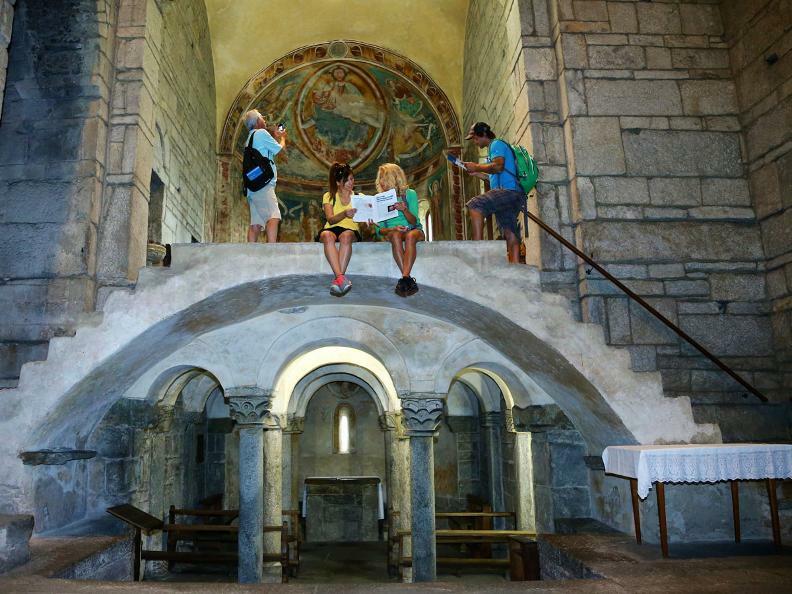 Six other churches are also interesting, in particular the church of Santa Maria del Castello (key at Osteria Giornico, +41 91 864 22 15) with the vestige of an old fortress, and the parish church of San Michele. Some interesting houses are also to be found in the village, among them the «Casa degli Stanga», with its fascinating frescoes. 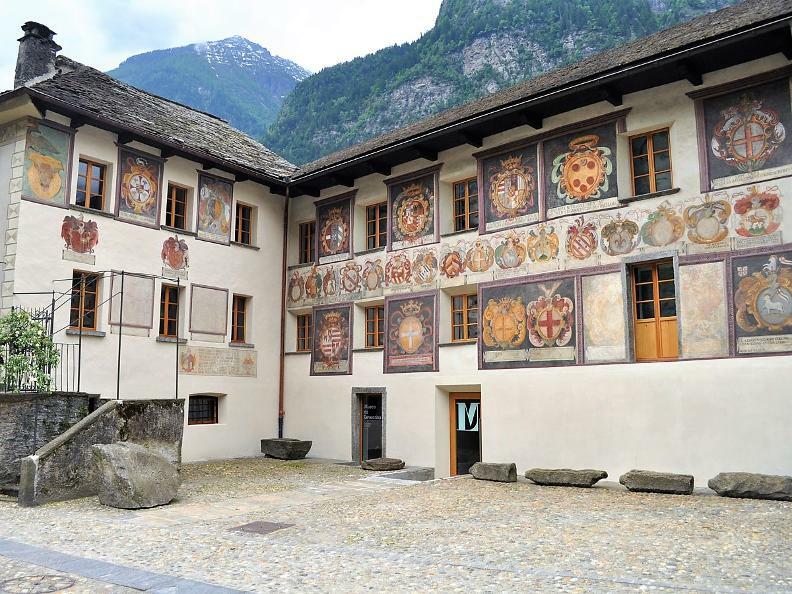 This house is nowadays the site of the ethnographic museum of Leventina. A more recent construction worth mentioning is the «Congiunta», where some contemporary sculptures are exhibited. Among the historic monuments is the Monument of the Battle of Giornico («Monumento della battaglia di Giornico»), created by the sculptor Apollonio Pessina from Ligornetto and erected in 1927 in memory of the battle of the people of Leventina and the Swiss Confederates against the Milanese troops. 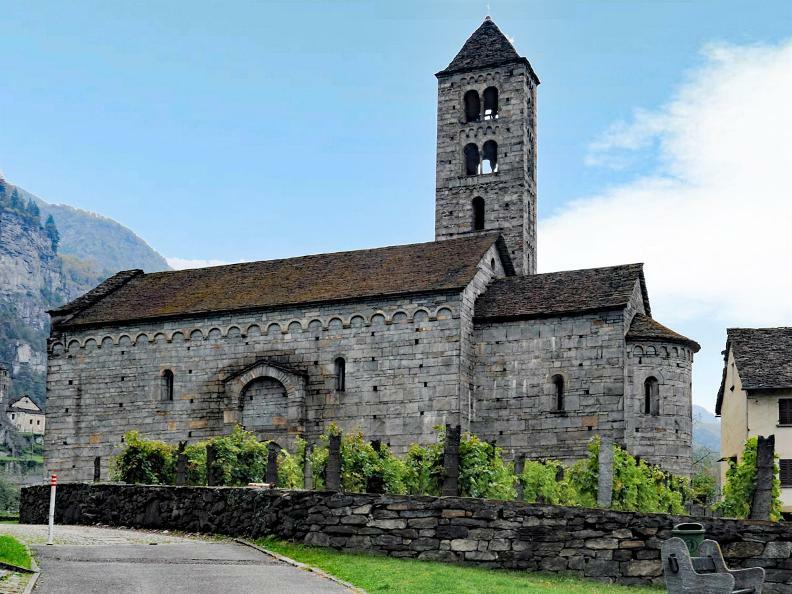 The parish church of St. Michael, already attested in 1210, was rebuilt in the Baroque period.